#1 Mortgage Loans After Bankruptcy Louisville Ky.
via #1 Mortgage Loans After Bankruptcy Louisville Ky.
Louisville Kentucky Mortgage programs including FHA, VA, KHC, USDA, and Fannie Mae Home Loans in the State of Kentucky – Louisville Kentucky Mortgage. 8 things your parents didn\’t tell you about mortgages. via 8 things your parents didn’t tell you about mortgages. SEPTEMBER 25, 2013FHA Back to Work Program Now AvailableIf you experienced a negative credit event due to the recent recession, your ability to purchase a home may be closer than you think with the: Back to Work – Extenuating Circumstances ProgramHave you experienced:Pre-foreclosure saleShort saleDeed-in-lieuForeclosureChapter 7 or 13 bankruptcyLoan modificationForbearance agreementThe FHA has relaxed its three-year foreclosure waiting period for potential homebuyers who have experienced hardships, including loss of income or employment due to the recent recession. To qualify, borrowers must have completed a HUD-approved homeownership counseling course.Certain conditions apply; contact me for more details! via FHA Back to Work Program Now Available. First Time Home Buyer Questions and Answers. 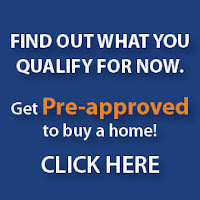 via First Time Home Buyer Questions and Answers.